The city where I am writing this has 11 million people. Were it not for the fact that I have been teaching in London for the past year I am not sure I would have had the courage to come to São Paulo at all. It is one of the world's megalopolises and takes urban to a whole new dimension. My response was to wander the streets in my hand-made rush hat looking for a cakeshop where the cakes had been made by a white-haired old lady. I hope that I will be better adjusted by the time I wake up. 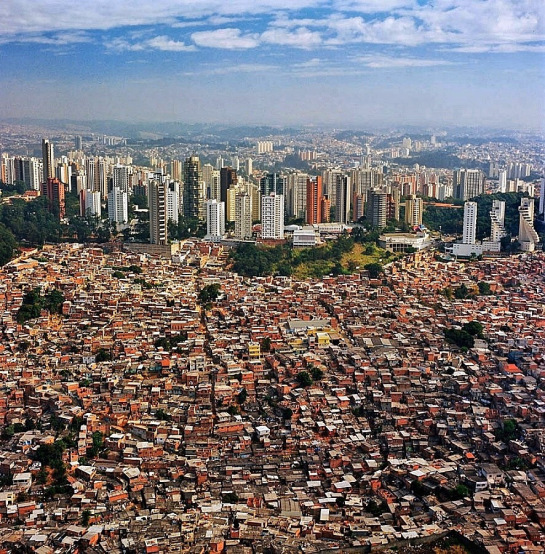 The city has helped to me to think again about the Brazilian obsession with crime. Every Brazilian person I have spoken to has warned me about the likelihood of being robbed and their gated communities and security guards suggest and innate feeling of lack of safety. 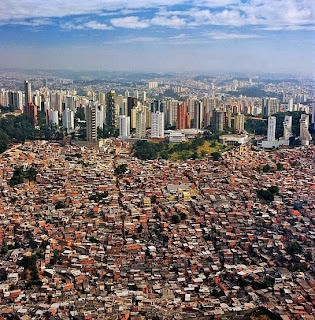 The rapid move to a consumer society that typifies São Paulo provides me with a speculative explanation in terms of the imbalance between the consumers and the hungry and whether this generates a sense of guilt and insecurity. Perhaps the Victorian obsession with crime in the UK had similar roots? Brazilians are rushing into the consumer paradise with unprecedented speed, as portrayed in their favourite current soap Brazil Avenue, which tells the story of the lower-middle-class in Rio who are aspiring to standards of living their parents could only watching on the popular novelas of their day. Aspiration is the flavour of the decade, with a desire for more and better but little thought of enough or sustainable consumption. One negative consequence has been a rise in obesity from 11% in 2006 to 15.8% in 2011: 52.6% of Brazilian men and 44.7% of women were overweight in 2011. The Avenida Paulista where we are staying is intensely high-rise. It once housed the super-rich coffee barons in their mansions surrounded by tropical gardens. But in the 1950s the Paulistas decided to compete for height with their North American neighbours and the mansions were ripped out to be replaced with skyscrapers. The city has the air of self-satisfaction that capital accords to those who play by its rules. For my money it is a city designed for business rather than pleasure. When is A Free Market Not a Free Market?